The Moto Z and Moto Z Force smartphones are the first devices after the Pixel and Pixel XL to be recognised by Google as ‘Daydream-ready’. Daydream VR is Google’s new mobile VR platform built into the latest version of Android. Lenovo is currently rolling out an Android Nougat update for several Moto and Droid-branded phones. The latest version of Android includes deep VR integration of Google’s new Daydream platform. While many modern Android phones are due to receive the Nougat update, there are very few that currently meet the specifications for Daydream VR, some of which is outlined in the latest Android Compatibility Definition Document. Currently, only the flagship Moto Z and Moto Z Force phones (including the US Verizon variants known as the Moto Z Droid and Moto Z Force Droid) which use Snapdragon 820 processors have been recognised as Daydream-ready, and not the Moto Z Play, which has a slower Snapdragon 625. Daydream VR was first seen on Google’s own high-end Pixel and Pixel XL phones, and Lenovo, who acquired the Motorola Mobility brand from Google in 2014, is claiming their two flagship Moto Z models are the first from another manufacturer to be recognised as ‘Daydream-ready’. Indeed, they are now shown prominently alongside the Pixel phones on the official Daydream website. You can read more on what we though of Google’s Daydream VR platform, their first Daydream certified phone the Pixel XL as well as its first VR headset ‘View’ in our detailed review here. 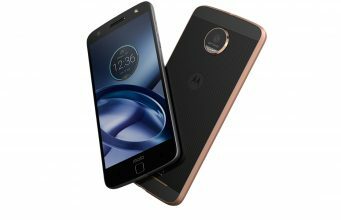 The post Moto Z and Moto Z Force: Now Daydream-Ready appeared first on Road to VR.